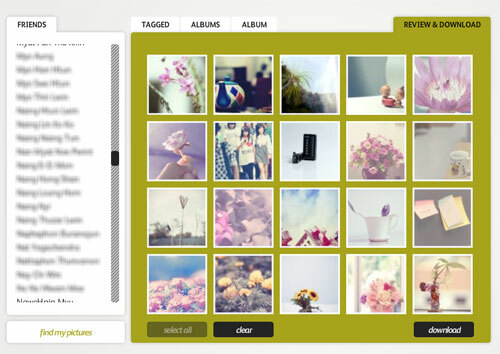 PicknZip is an online tool that lets you to download your photos from your Facebook account. You can either download your photos as zip format as well as PDF file format. You can not only download your photos Facebook but also you can download your friends’ albums and photos or pictures you have been tagged. No registration required, just connect with your Facebook account.